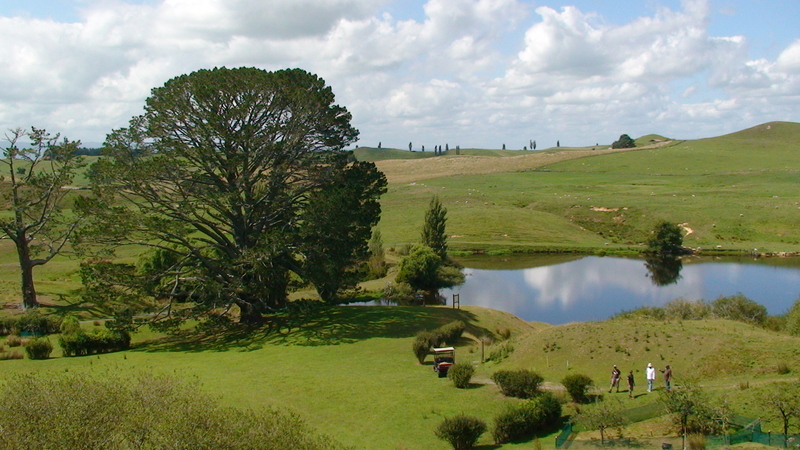 From stuff.co.nz: Brett Hodge, owner of Matamata Post and Rails, which has supplied the timber for The Hobbit duology since construction began in February, told the Waikato Times that Sir Peter Jackson’s company Three Foot Six was building the home of the Hobbits to last. What they did last time was build a temporary set, but now it’s a permanent set. It will begin a perpetual celebration around the party tree, on the set, where The Fellowship of the Ring began with Bilbo’s disappearance. The Green Dragon, where the dwarf Thorin Oakenshield awaits Bilbo Baggins ahead of their quest, will include a real thatched roof and the nearby Bywater bridge, made from polystyrene blocks resembling stone for The Lord of the Rings, is being rebuilt in permanent stone. Read more of the article over at stuff.co.nz that ends with quotes from none other than members from our very own message boards.